With only 29 work days until we open, it's crunch time. If TLC did a spinoff of Flip That House, we would nominate ourselves for Flip That Lodge. If you've ever seen the lodge in the summer, it looks quite a bit different than in the winter. Currently we are working to flip the lodge back into winter mode. The rental shop is in the process of becoming a rental shop again (it was the Trader Cafe all summer). They literally have boxes stacked to the ceiling as we purchased all new boots and expanded our ski & snowboard fleet. The Trader Cafe is moving to the Evergreen Room in the lobby. On those busy Saturdays when you just want a sandwich and don't want to wait in line at the Grille, run into the Cafe. A nice caffeine buzz can't hurt your skiing either. You'll get more laps then ever before! The Sunset Grille is being cleaned top to bottom in preparation for the season. The bar was painted to rid ourselves of the Super 70s Mauve that we were so famous for. Your heart is breaking I know. And finally, new lockers are going into the picnic area. The previous lockers had been there for years. We're taking bets on what we'll find when we pull those out...want to get in on it? Just a little heads up on a big contest we're dreaming up. 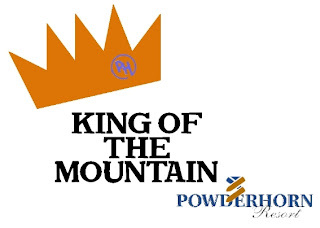 We'll be crowning a King or Queen of the mountain on December 6th. Then we'll draw the winner live at our Winter Kickoff Party at Gene Taylor's on December 6th. The winner will receive a night's stay at the Inn at Wildewood, 2 Plus Cards, and gear! Even if you don't get into the contest, stop by Gene Taylor's for the party. We'll have free stickers and beanies, Pepsi giveaways, season pass photos, Plus Cards for sale, and you can shop the new gear or have your equipment tuned up. We'll be adding to the grand prize as this event develops so stay tuned! Dale Johnson is the winner of the October e-news trivia contest. We has won 2 lift tickets. Congrats! Correct answer was Sidewinder as the original name of Bill's Run. 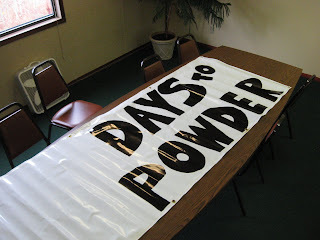 Watch for the next e-newsletter coming out next Thursday with a new trivia question plus important Powderhorn updates. Not getting our newsletters? Sign up here. You can remove yourself from the list anytime. As promised, here are the top-ranked snowboards for 08-09. These were collected from Snowboard Magazine and Transworld Snowboarding. It was a little more difficult finding a wide range of editor's picks for various snowboard mags. If you have recommendations for others, leave a comment. Burton boards can be found at Gene Taylor's, Traz carries Rome and Nitro, and Sports Authority carries Ride and Salomon. Driving into the resort today, it was only 17 degrees! It's good to be cold again. As soon as daytime temperatures start staying a little lower, we'll begin making snow. Most likely the beginning of November. We purchased some new snowmaking equipment this year that will help us cover the base area more quickly. 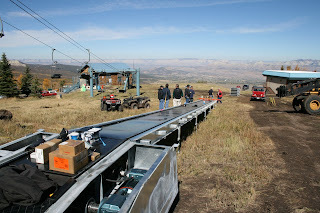 We will also use the equipment to make more snow in the terrain park. Time to do some stretching and get those regular snow dances going! Our new Magic Carpet is being installed today. 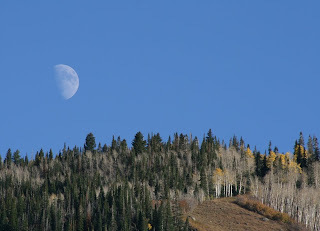 This is going to greatly increase the flow and ease of learning to ski or snowboard. In fact, December 15-19 we'll be offering First Timer lessons for half price! So if you or someone you know would like to learn, that will be the perfect time to do it. The guys are also testing the snowmaking lines. 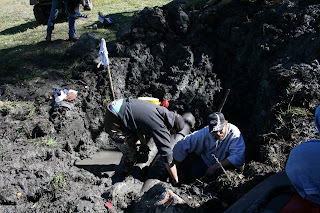 They found one leak and are now sliding around in a mud pit to fix it. We should call that guy from Dirty Jobs. 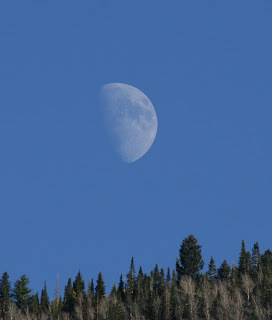 The disc golf season has now come to a close here at the mountain and the course is being removed. Next summer we will be installing nice rubber tee pads. We'll see you disc golfers next summer! To the skiers and riders: 66 days until opening day! 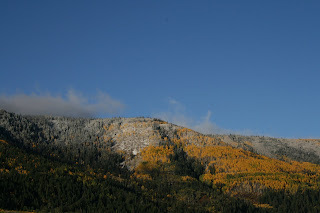 First snowfall of the 2008-09 season! Let the snow dancing begin. It's that time of year where you realize you need to ditch your old boards and take the dive into a new pair of skis. The wall-o-skis can be a little overwhelming at your local ski shop. It's best to learn a little about what you're looking for and what's available before you go to the shop. Then you can talk with one of the pros more in-depth to get a perfect fit. If you're any kind of regular skier, picking out your skis is like entering into a relationship. Choose wisely...otherwise you'll experience pain, frustration, and an expensive divorce when you have to switch to another new pair. Here is a compilation of the Best of the Best. This list consists of the Editor's Picks from Skiing, Freeskier, and Backcountry Magazines. We'll have the Best of Snowboards soon!